One of my most popular blogs ever was from 4 years ago, titled "100 Country Rollerblades and Red Bull Tour". It is the story of visiting every corner of the planet, fast & cheap, and the building a retirement plan around re-visiting favorite places for longer periods. 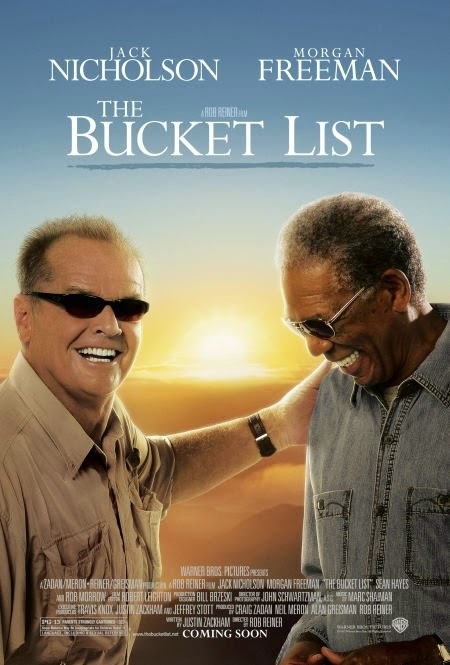 I talked about the Bucket List movie from 2007 with Jack Nicholson and Morgan Freeman and the concept of waiting to retirement to really start living. Life tends to get in the way of living sometimes and families and careers take over most of our focus. Since the movie, and the corresponding epiphany, I have been able to visit 65 countries on every continent except Antarctica. And yes, Antarctica is in the plans! The goal of hitting 100 countries is what drives this crazy adventure. 1. TIME - being a married father of 3 beautiful girls aged 17, 15 and 8 months, as well as a Co-Founder of a quickly growing company, ChannelEyes, doesn't leave much time to be a world traveller. 2. MONEY - You could spend a fortune on flights, hotels, visas, food and tourism - especially living in North America where every trip is a major transcontinental journey. Grouping countries into themed trips has been the answer. 3. ENERGY - Travel can be very stressful and draining, dealing with airports, ground transportation, logistics, foreign languages, currencies and tight itineraries. 4. THINGS BEYOND YOUR CONTROL - A quick read of the morning newspaper will show that the world is always in a state of change. For example, one of our honeymoon stops was Egypt to see the pyramids, the Nile & Luxor where King Tut's tomb is. The day we got married the protests turned deadly, and on our day of arrival, 54 people were killed in the main town square. It turns out that attaining 100 countries is more difficult than first planned. The number itself wasn't anything more than a round number that was challenging and remarkable at the time. After some research, I found a Travelers' Century Club, or TCC, that was founded in 1954 in California and has about 2,000 members. To be a member, you must have travelled to 100 or more of countries and territories in their Directory. The Club recognizes a much wider array of countries and Territories (324) than does the United Nations (193). In terms of "sovereign" states, there are 206 listed in Wikipedia. Somewhere between this number and the United Nations number is where I fall - adding important places such as Taiwan, Kosovo and Vatican City. It also makes for a nice round number - travel to 50% of the planet! As you can see, targeting places like China, India and Indonesia help achieve the population numbers, while places like Russia, Australia and Argentina drive the land mass values. So, while 65/200 countries traveled to already is 1/3 of the world; In terms of population I am at 69% and land mass 63%! The most difficult part of getting to 100 countries is the perpetual state of war (civil or otherwise) and the geographic spread of small islands around the globe. At any one time, there is only about 100 safe, accessible and economically viable countries to travel to. Today, the entire mideast is out of the question as well as the majority of Africa. The Northern shore of South America and most of Central America is also risky at the best of times. 1. North America (1972-80) - living in Canada and the United States, and travelling several times to Mexico allowed me to complete the continent (and a ton of land mass) early in life. Sub-total: 9 countries over my first 35 years. 5. Greece (2008) - including Athens, Mykonos and Santorini. 7. China (2009) - including Beijing, Shanghai, Hong Kong & Macau. 8. Italy (2009) - trip with my mom. New Sub-total: 56 countries in just 6 years - making a total of 65 over my life. Now the question is, how to go get those last 35 countries - safely and economically? - Eastern Caribbean cruise - Dominican Republic, Anguilla, Antigua and Barbuda, Montserrat, Guadeloupe, Martinique, St Lucia, Barbados, St Vincent, Grenada, Trinidad and Tobago & Aruba. Even though the Middle East and Africa have been in a constant state of turmoil for centuries, I do hope in my lifetime to see these countries. I also enjoy getting DK Eyewitness Travel Guides, especially the Top 10 ones. With a good mix of pictures, backstory, organization and itinerary help, they have turned out to be invaluable. The plan to sail later on will afford the opportunity to see new countries by water and check out new parts of these countries from port. So, yes, it is possible to see the world while working full-time and raising a family. It is also possible to do without hundreds of thousands of dollars in cash laying around.